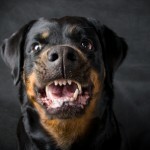 Approximately 4.5 million people in the United States are bitten annually by dogs, and many victims sustained severe injuries that require reconstructive surgery, neurological treatment, hospitalization, and on rare occasion dog bite fatality happens. The victims of severe dog bite attacks are usually boys under 10 years of age, and are attacked by a dog they know. One of the most frequently cited studies about severe dog bite attack on people was conducted by noted animal behaviorist, John Wright, PhD at Clemson University in the 1980s. Although dated, the study is still highly relevant. Dr. Wright examined dog bite attacks from dog bite data collected from five county health departments in the Piedmont area of South Carolina between July, 1979 – June, 1982. (Severe attacks by dogs: Characteristics of the dogs, the victims, and the attack settings. Public Health Reports, 1985, Vol. 100, 55-61). Using with these criteria, Wright found 16 incidences of severe dog bite attack based on his review of 5,711 reported incidences. Five of the 16 incidences involved pit bull type dogs. Three incidences involved cocker spaniel type dogs, and three incidences involved St. Bernards. Only one incident involved a Rottweiler. No incident involved a pure bred German Shepherd or Doberman pinscher. Severe dog bite attack on people occurred at a rate of approximately 2.8 per 1000. These results provide further insight into the characteristics of severe dog bite attacks on people in the United States. The findings probably generalize to other Western countries. The study is rather dated since it was reported in the mid-1980s. Nonetheless, most of the findings are consistent with more recent results about dog bite epidemiology. The only significant change may be some the breeds involved. Thirty years ago, severe attacks on people by aggressive St. Bernards were widely publicized and not unusual in the United States. 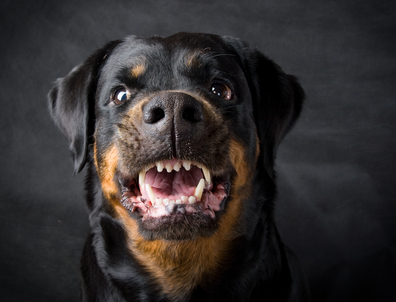 In contrast, more recently, a disproportional number of severe dog bite attack on people (including dog bite fatalities) are inflicted by breeds that have become more popular. Mastiff type dogs, like the Bull mastiff, Dogo Argentenio, Presa canario, and Cane Corso, immediately come to mind.